Our Concrete – Pool Builders Ltd. Choosing to finish your pool patio with concrete allows you to have a uniform finish with minimal maintenance. You can easily add colour to your concrete to have the finished look of your preference. 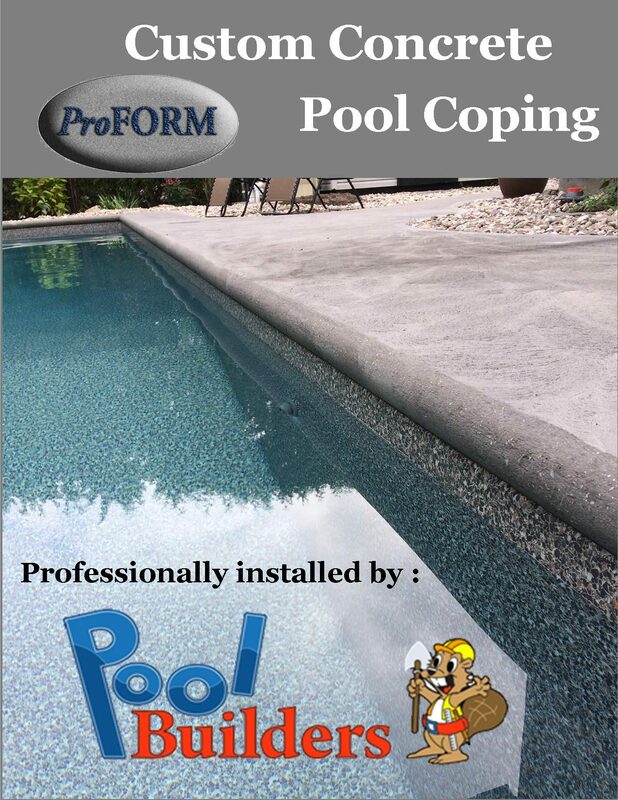 With Pool Builders Inc, you have the option to have your pool bullnose made of concrete, this is made possible with Proform . The Proform finish replaces traditional PVC or aluminum bullnose coping with a sleek concrete finish that merges your deck with the pool`s edge nicely. 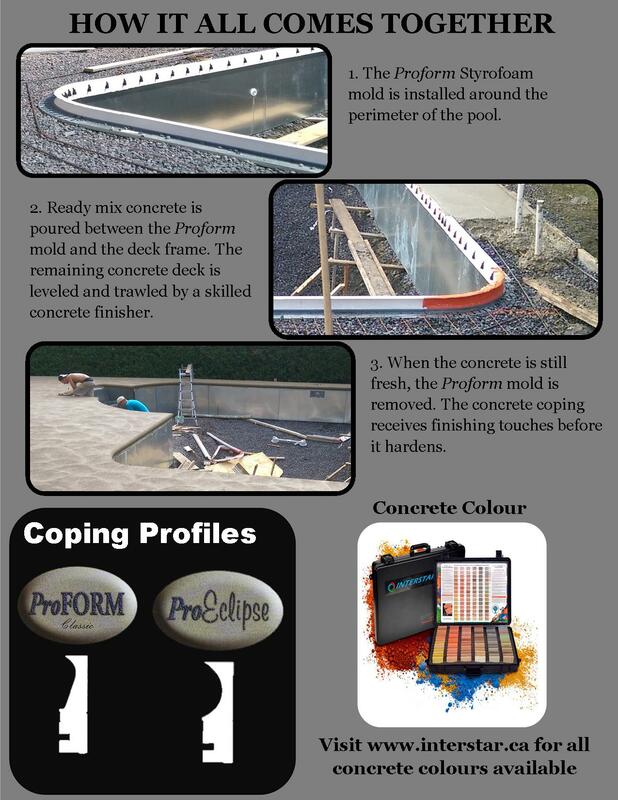 For further information on Proform, please consult our brochure below. We proudly serve the Ottawa area!